Opening in 1936, this building was drastically rebuilt from a former ballroom for Glasgow cinema magnate AE Pickard, who also owned the Panopticon. His eccentric style was demonstrated by both the original exterior - which above the low, simple facade featured an enormous scale model of the Forth Bridge, complete with model trains running back and forward across it! The interior was also apparently decorated with mirrors and glass, and seated 1,200 in stadium style. 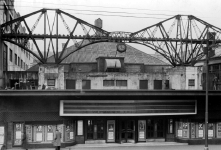 The cinema was sold to George Palmer in 1945, and renamed George. 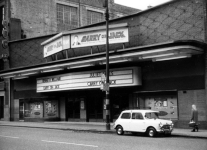 In 1958 it was sold to ABC, who sadly removed the model bridge, and modernised the facade. It closed as the ABC in 1975, reopening as the Dreamland cinema, to show Asian films. 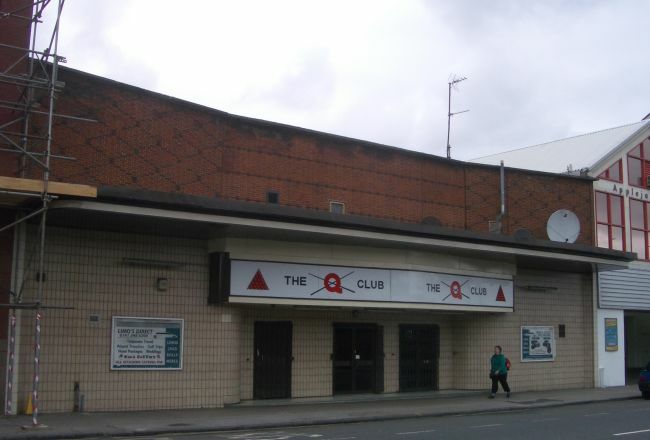 It finally closed as a cinema in 1981, and has since been used as snooker club and for offices. 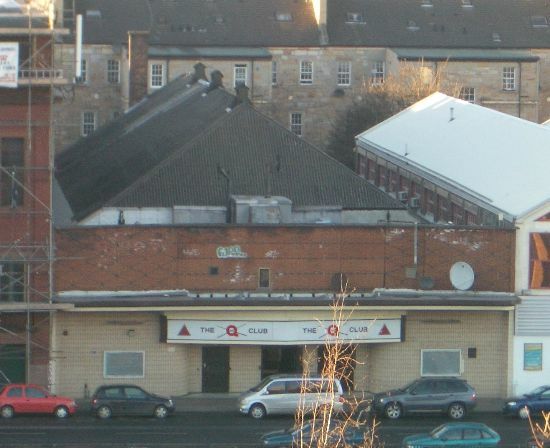 The Glasgow Story website has a photo of the original ballroom on the site here, and a photo of the exterior as the Dreamland in 1980 can be seen here, courtesy Chris Doak.